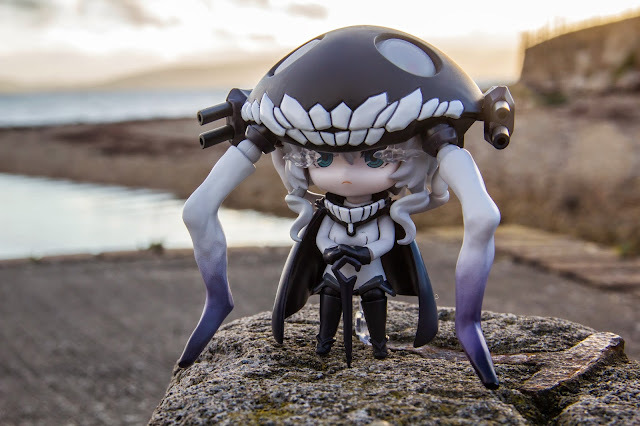 I'm a geology student, and as a part of my course, I need to go to a 10 days field trip to the Isle of Arran, Scotland to study the geological features there. 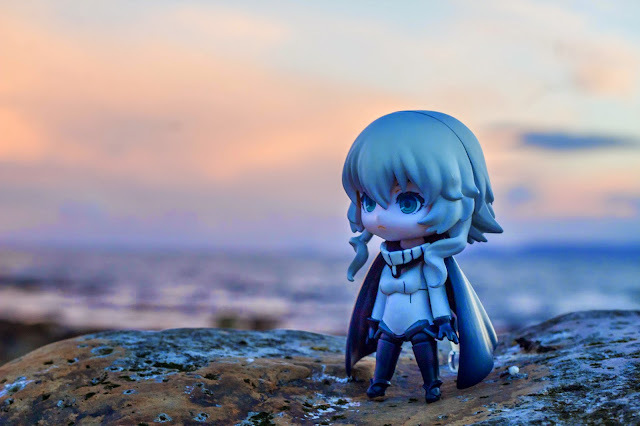 The place itself are surrounded by beautiful blue ocean and fantastic rocky coast, and I said to myself: 'hey, this would be a great place to take pictures of some of my Kancolle figures!'. 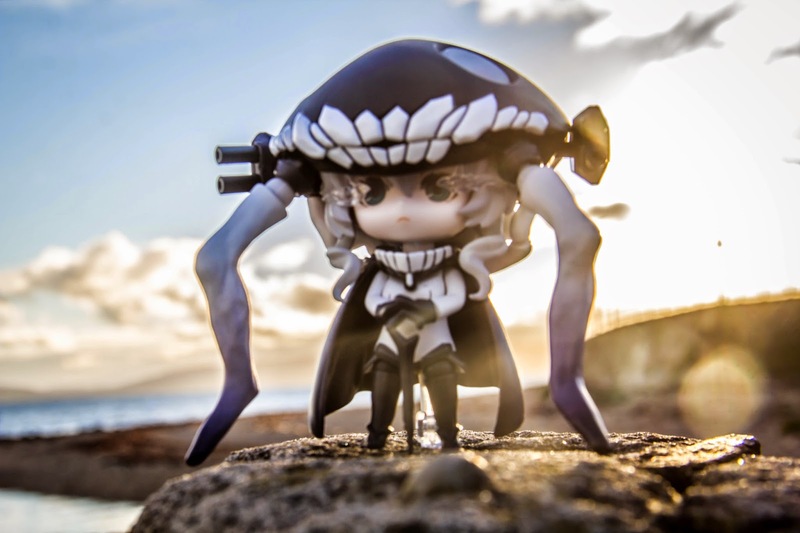 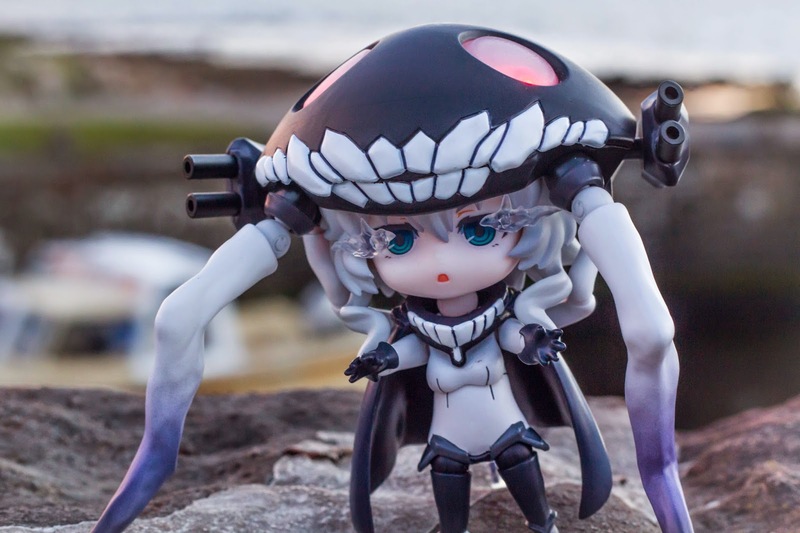 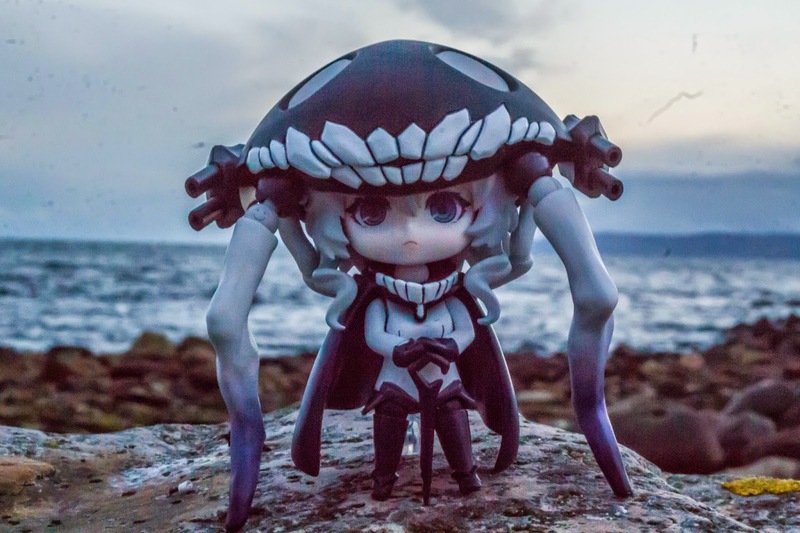 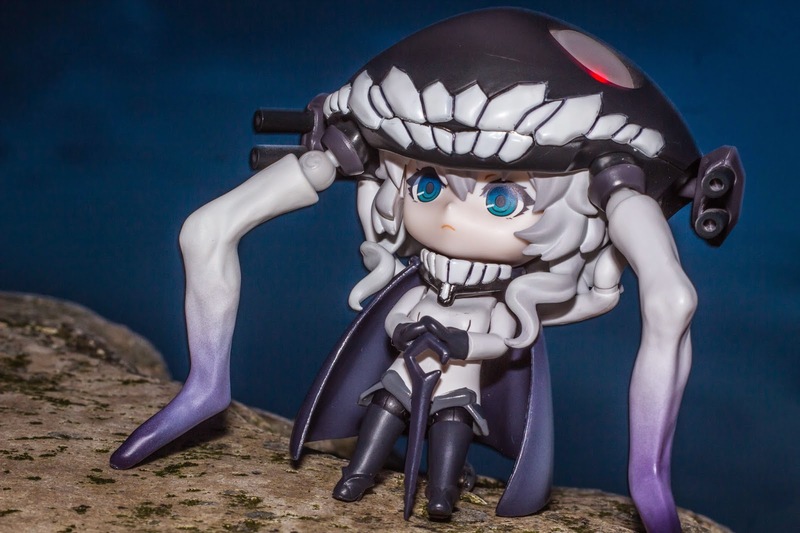 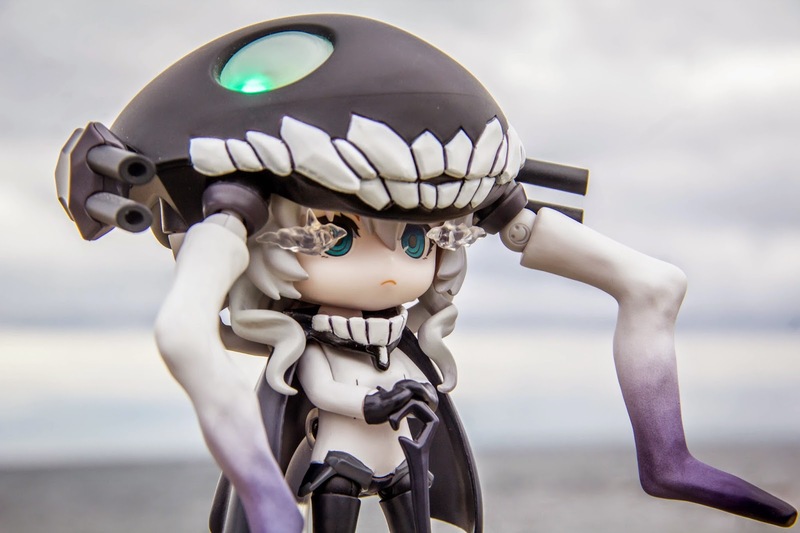 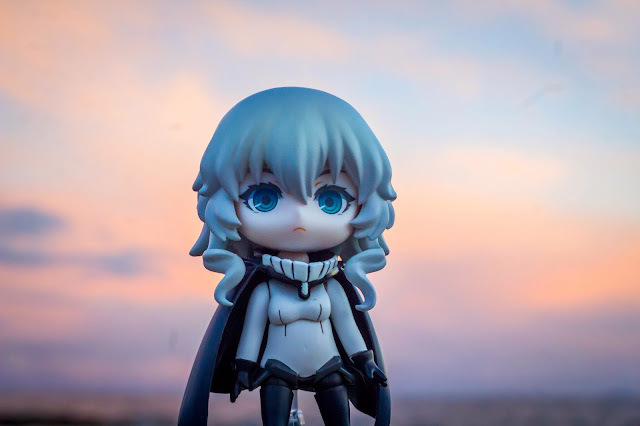 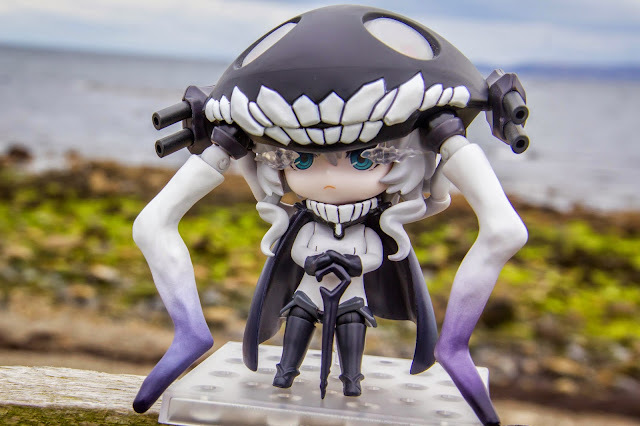 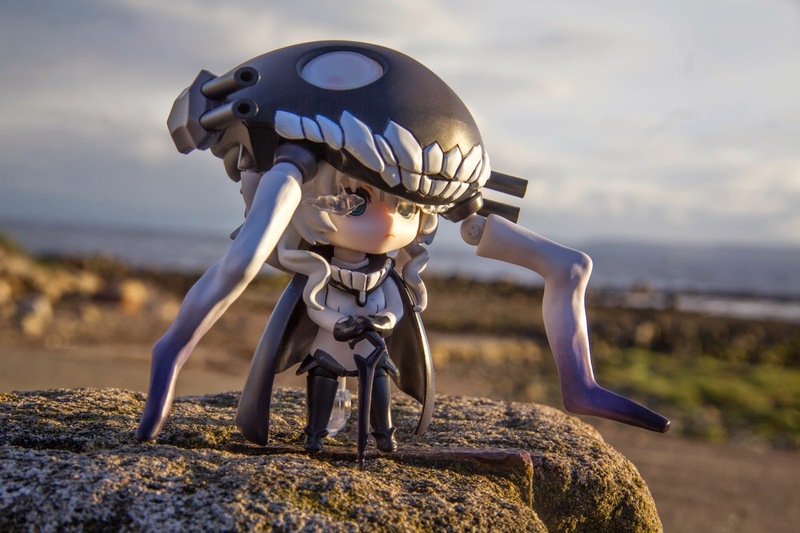 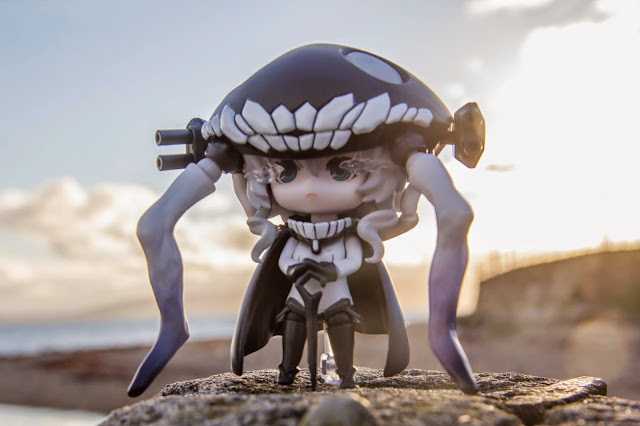 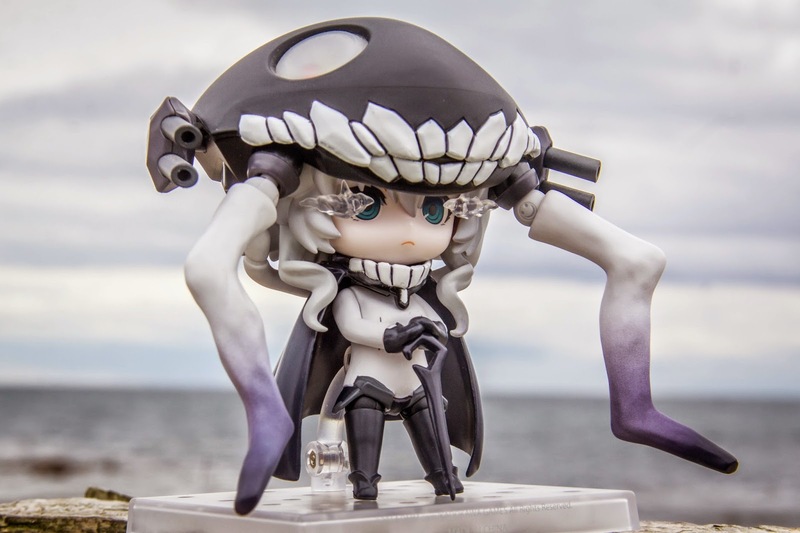 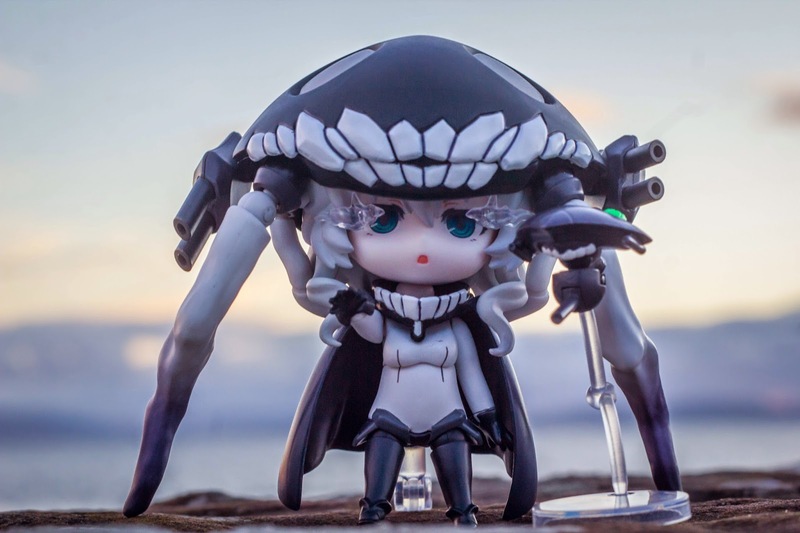 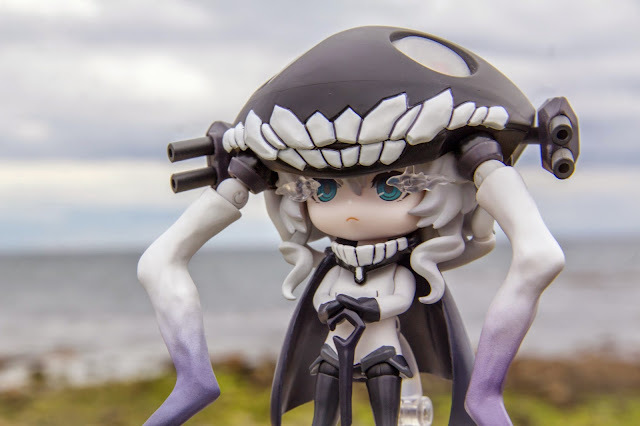 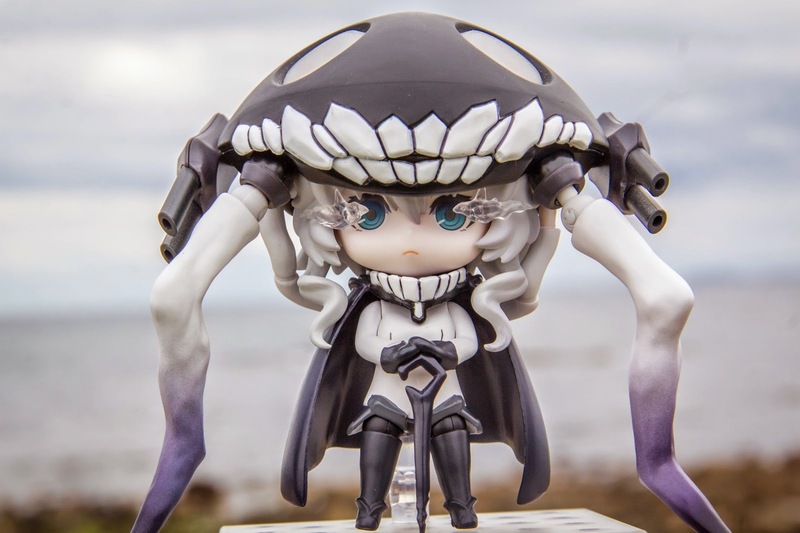 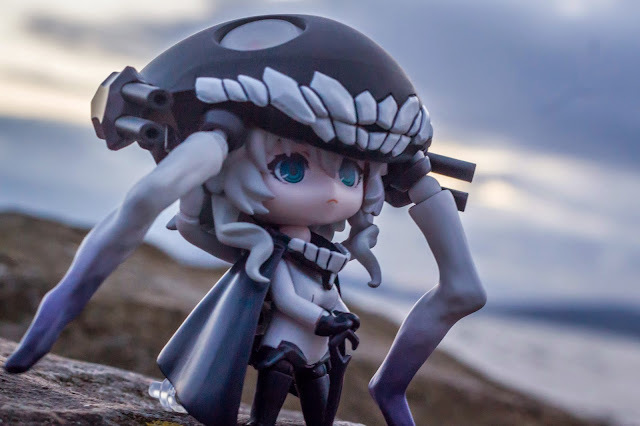 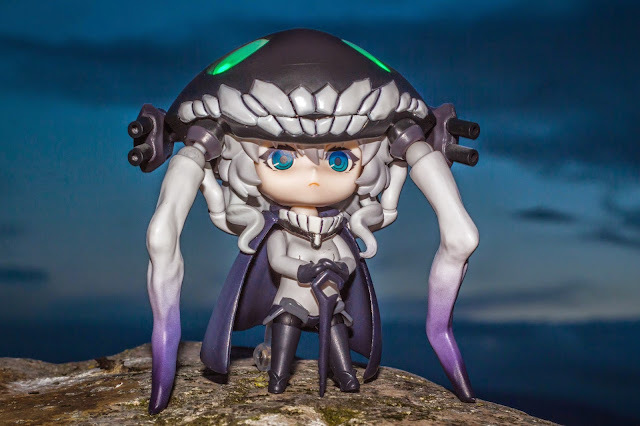 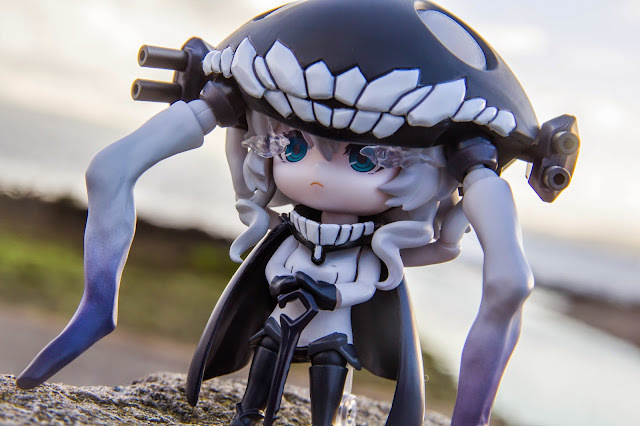 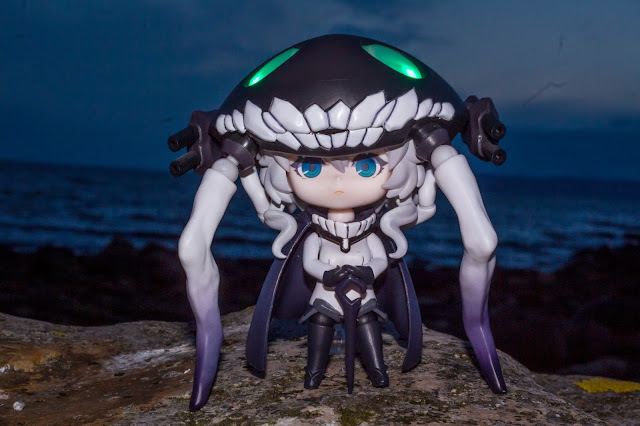 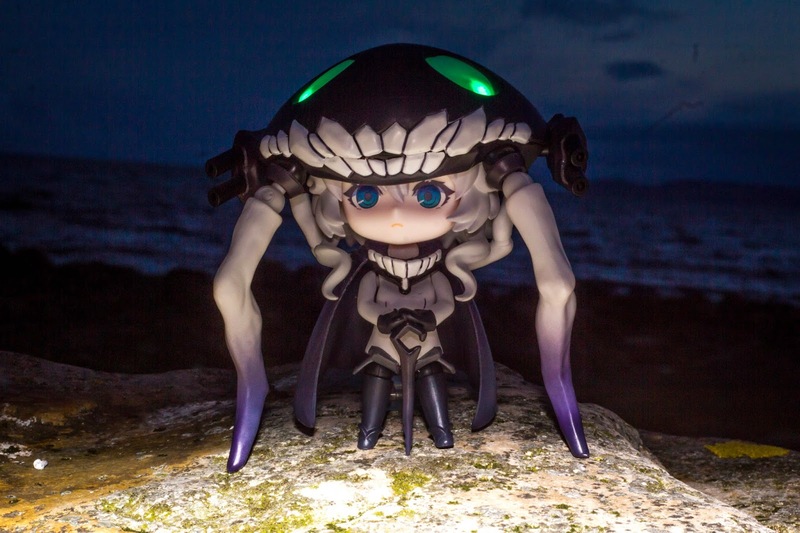 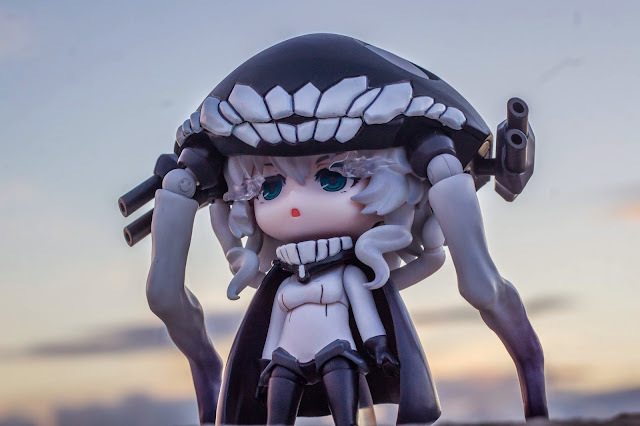 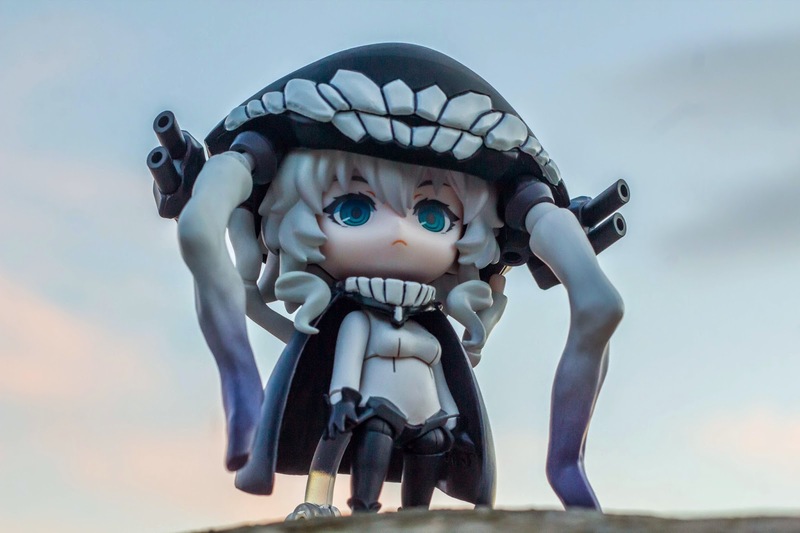 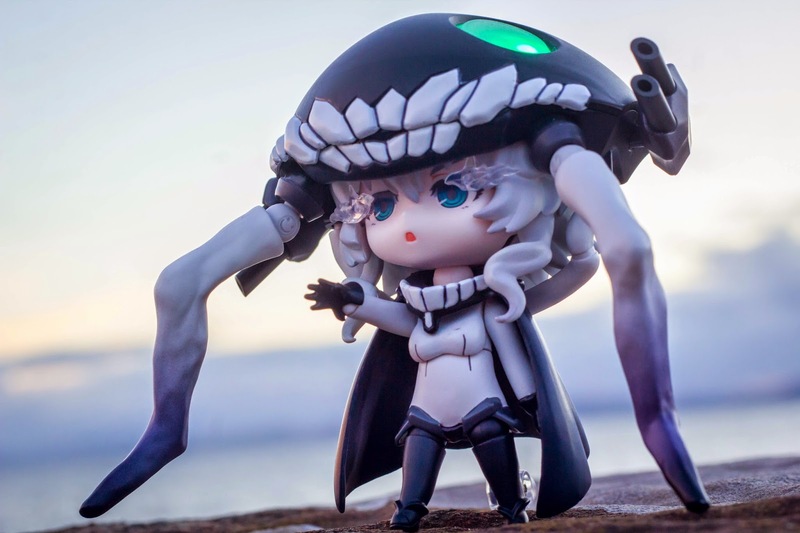 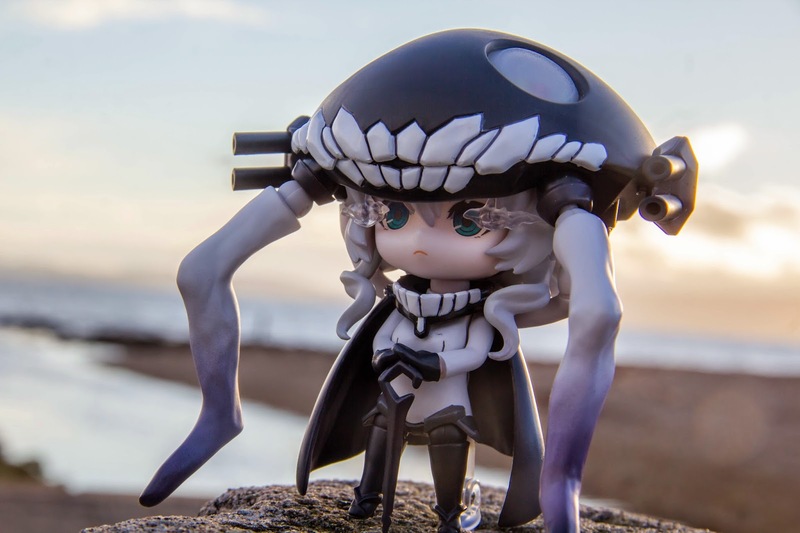 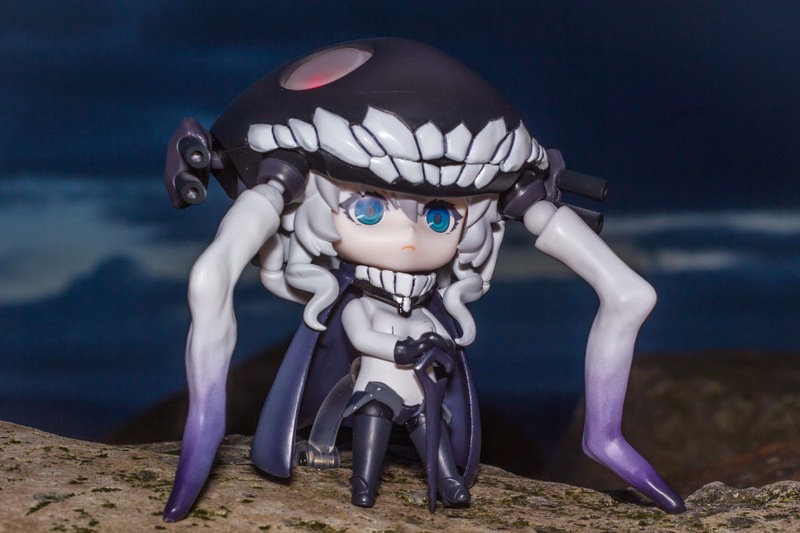 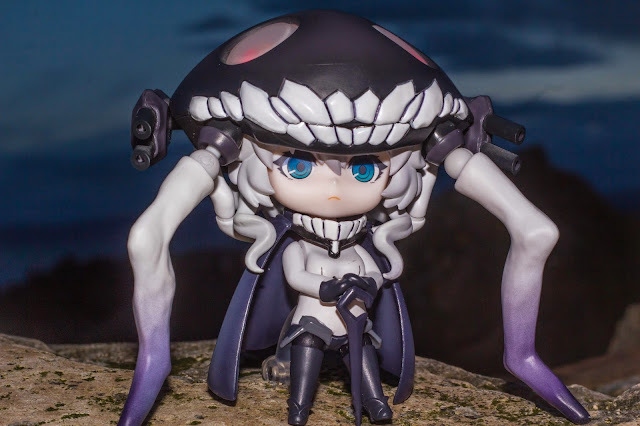 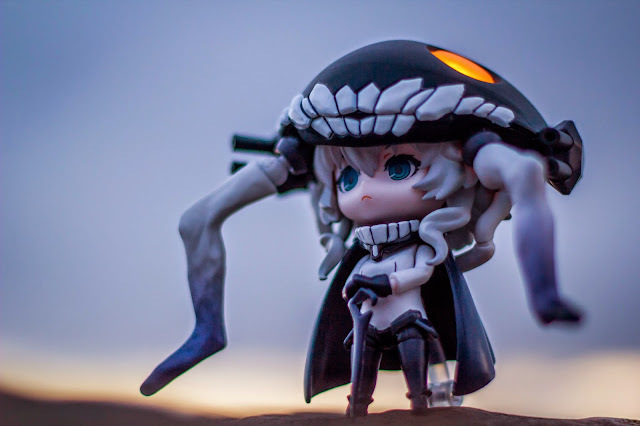 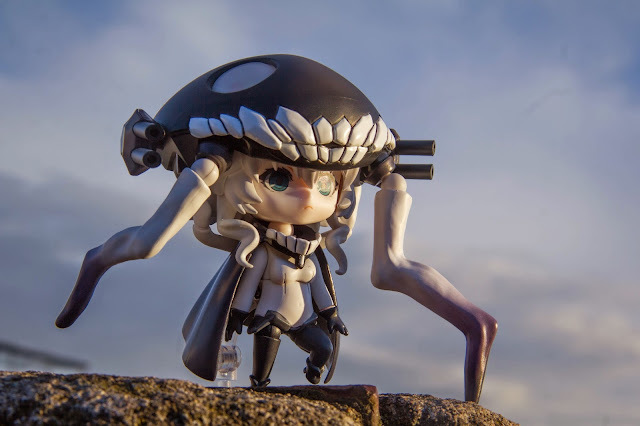 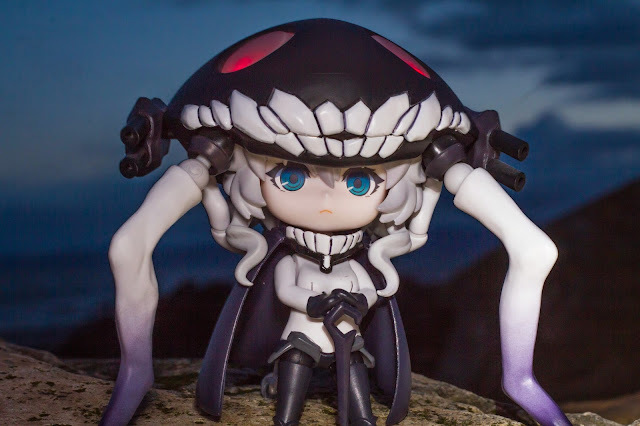 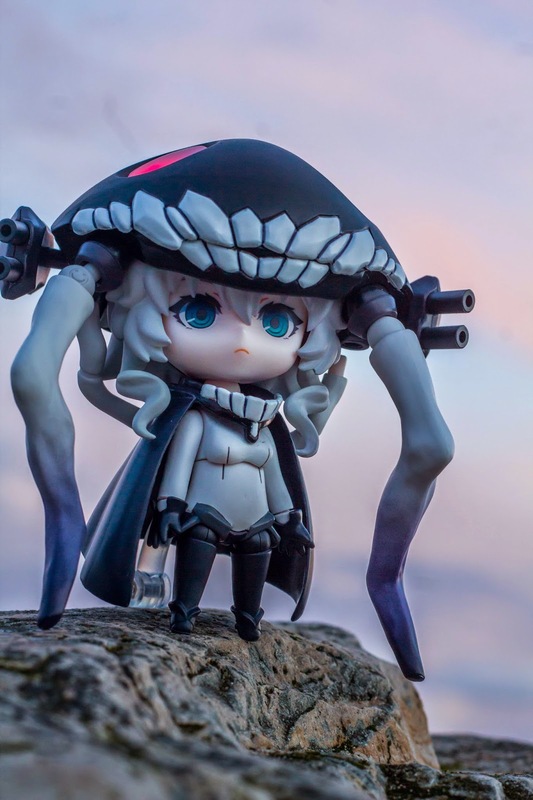 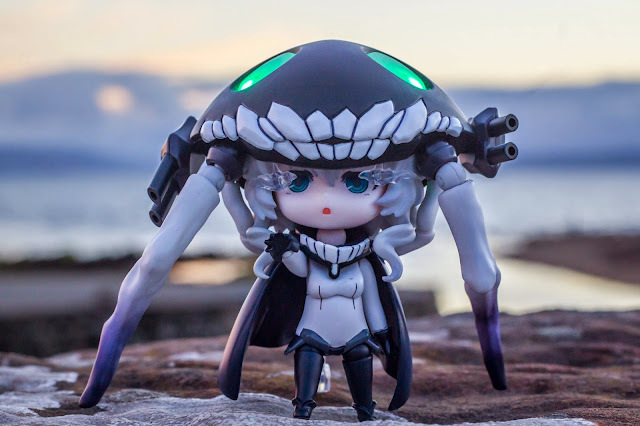 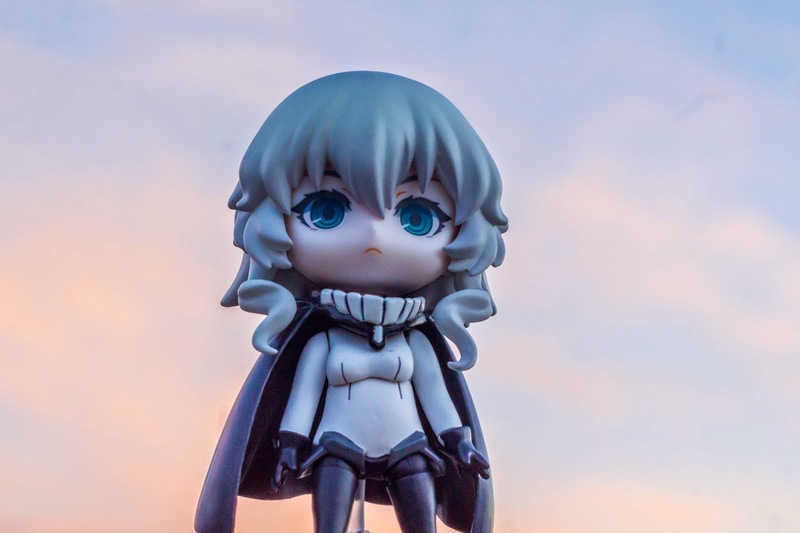 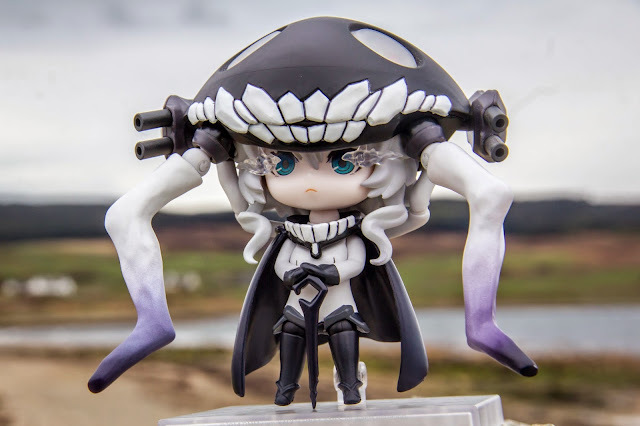 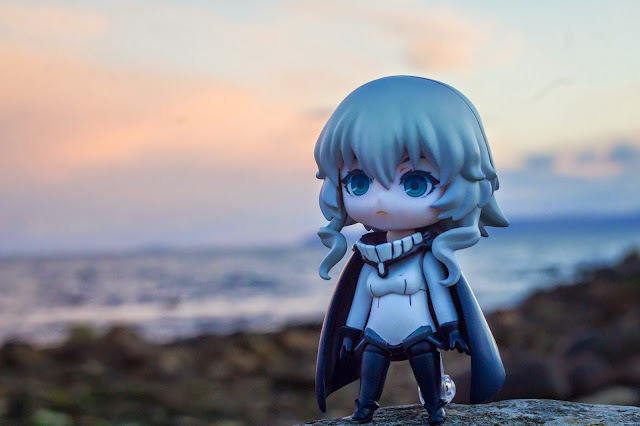 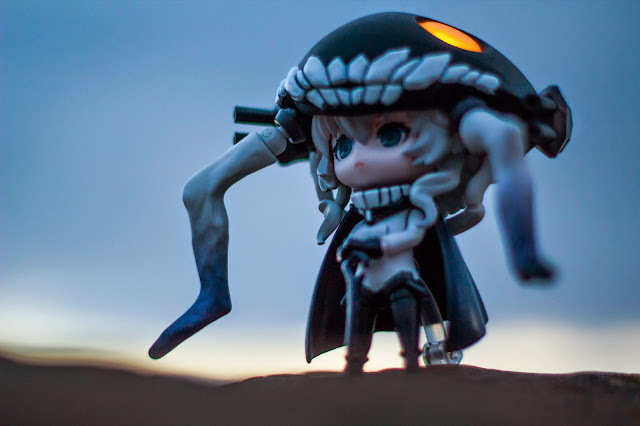 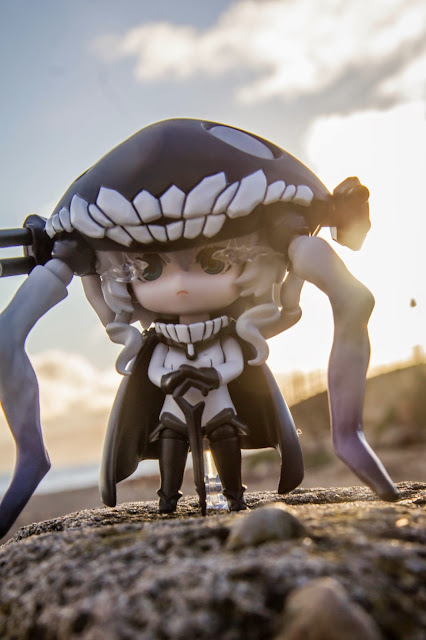 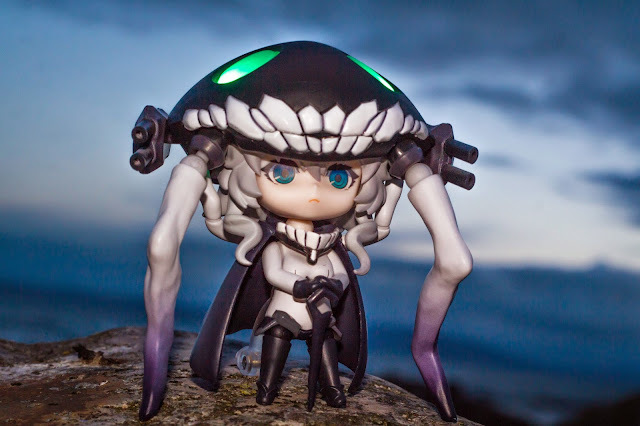 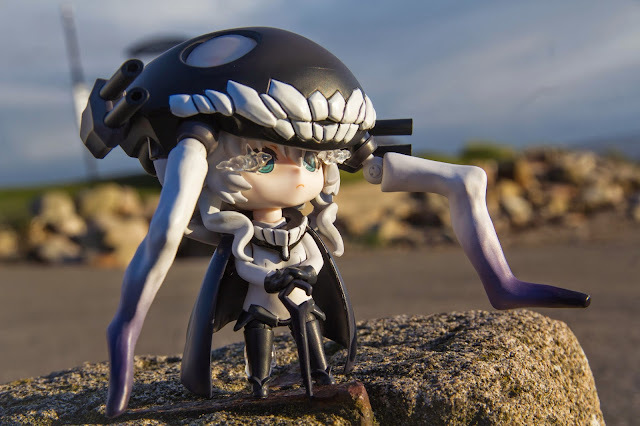 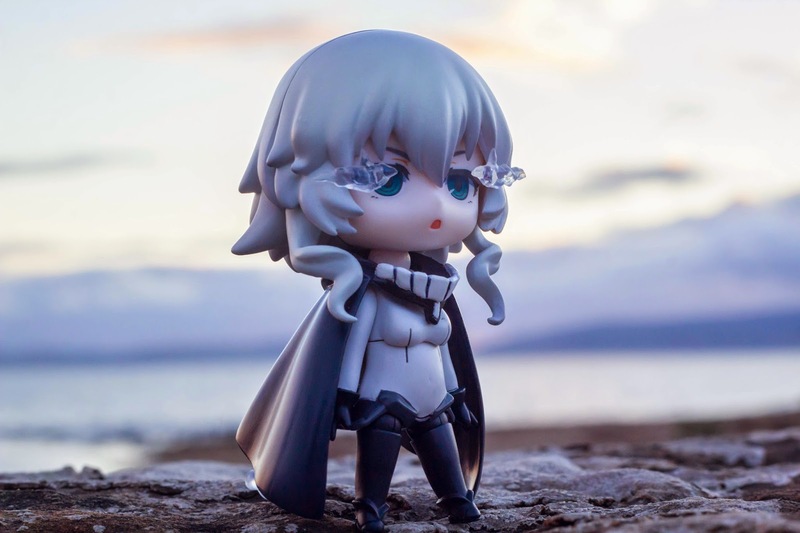 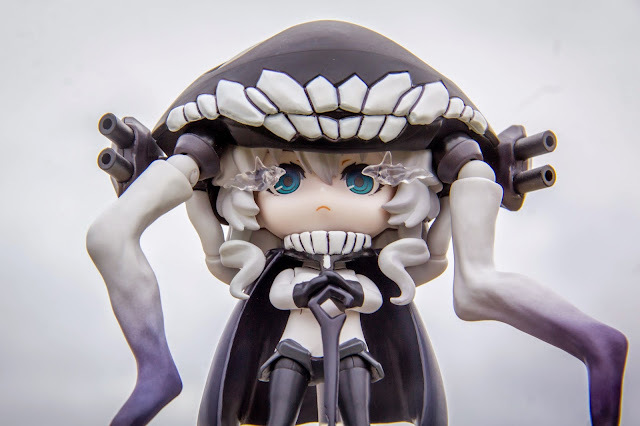 I packed all my stuff and bring Nendoroid Aircraft Carrier Wo-class, travelled 7 hours by train and ferry from Leicester to Arran and after finished all my works, I sneak out from the hotel and go out with Wo-chan to have a great time together at the beach. 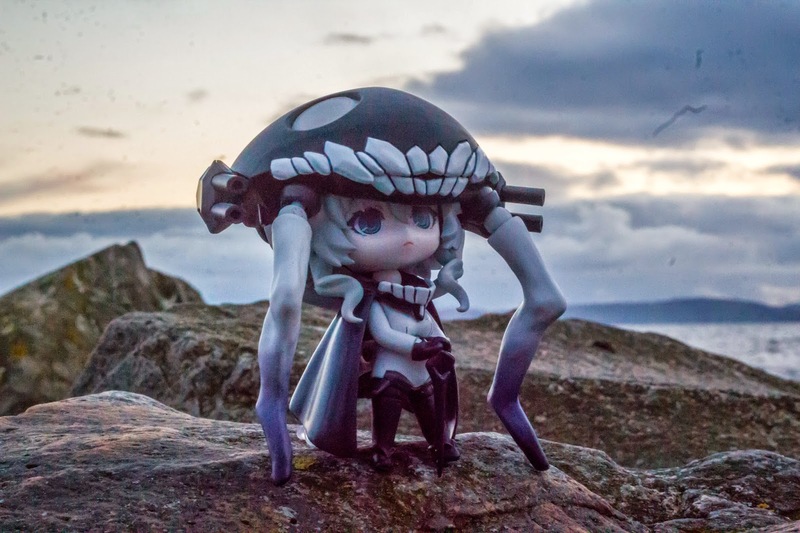 The view here is fantastic. The sea is so blue, blended well with the brightly blue sky. 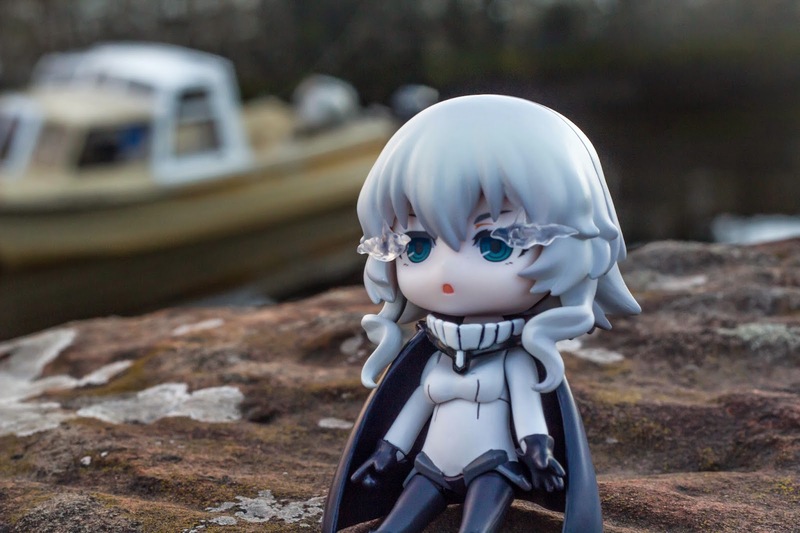 The cold weather does a pose a little challenge however, especially when you're trying to change some of the Nendoroid part, but nevertheless it was realy fun. 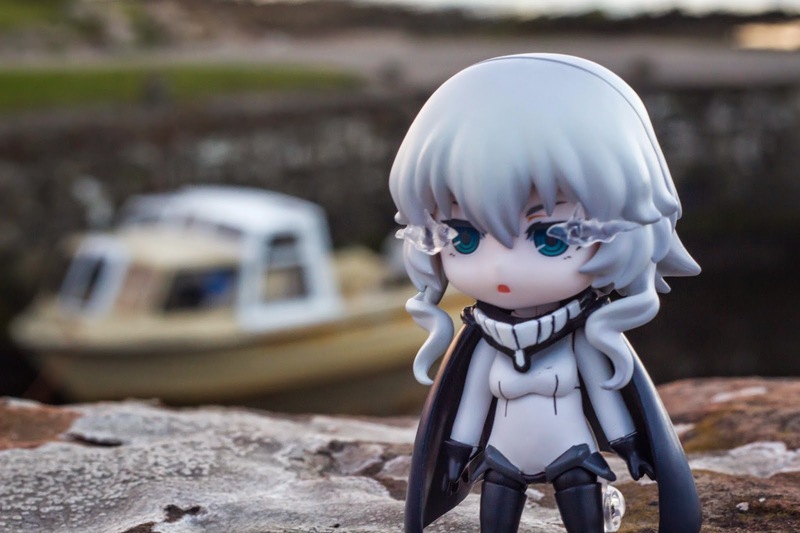 Without wasting any more time, let us view the pictures shall we?